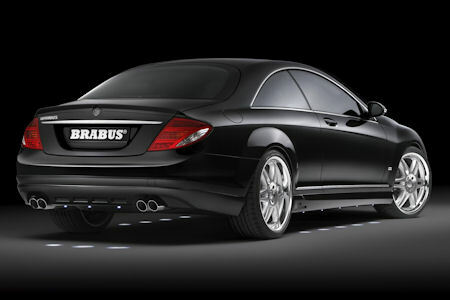 Here’s another overpowered Mercedes by Brabus for Dubai Motor Show. Unlike the previous cars we featured, it’s not a SUV. It’s a luxury coupe based on the CL-Class which has received the same 750 hp treatment. This is more appropriate. Brabus SV12 R benefits from a subtle bodykit which suits it completely. 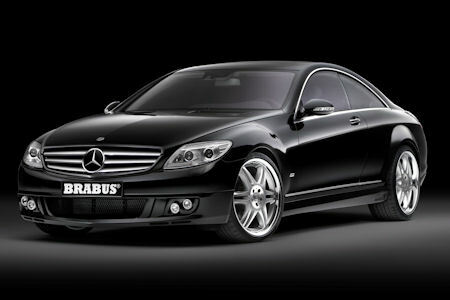 It is a classic and discrete Brabus design which makes the CL such a classy car. They also offer the Monoblock wheels for this cars available in sizes 20,21 and 22-inches. These rims in combination with the tweaked ABC system which lowers the car by 25mm boost the CL’s magnificent presence. But as it’s the case with every Brabus car, the best part of it is the engine! Here you find the familiar 600-series Mercedes V12 which has a displacement of 6,3 Liter now and is equipped with two bigger turbochargers. It chucks out a massive 750hp and 1350 nm of torque, which had to be limited to 1100, because that’s the maximum different components can take. Since this huge torque is available form only 2100rpm, this pretty heavy luxury yacht can accelerate to 100 km/h from standing still in 4-seconds and reach a top speed of 340 km/h. Brabus has also fitted the car with a powerful braking system with 388mm discs at front with 12-caliper pistons and 355 discs with 6-piston calipers at the back.